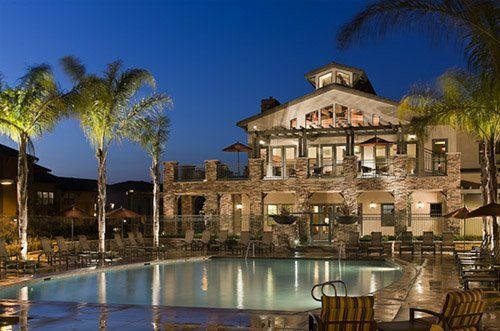 Nestled above Rancho Santa Fe and San Diego, The Lakes, California, features homes in gated communities, such as Estrella or Sevilla, as well as other beautiful properties that have been recently built. Other subdivisions include the Van Daele Collection and Belleza. Prices range above $1 million and include privacy, guard-gated access, a neighborhood adjacent to The Crosby and a landscape highlighted by the rugged mountains to the east. Homes have been built by Lennar and Van Daele and are offered in a choice several designs for new properties. Additionally, an indoor/outdoor ambiance that is ideal for entertaining are evidenced by the design of these unique properties. You might find a home with a separate casita and office as well as an estate that epitomizes distinctive luxurious living. Surrounded by stunning landscaping and containing a host of amenities, these newer homes reflect old world Spanish architecture with all the modern touches. Spacious open floor plans reflect the contemporary flavor of the homes in The Lakes, California. Your children will attend schools as part of the Poway School District, when you call this area home. Living at The Lakes, golfers will be close to The Bridges Golf Course, Rancho Santa Fe Golf Club, the Crosby National Golf Club and more. Pacific Ocean beaches are just minutes away from home, as is the exciting city of San Diego. Travel about a half hour to root for your favorite teams among them the San Diego Padres and the San Diego Chargers. Explore the museums or visit the San Diego Zoo or SeaWorld with family and friends. All the fun of the city is nearby, yet you will enjoy the tranquility and views of nature while living at The Lakes.